In addition to the March series, Nate Powell’s work includes Rick Riordan’s The Lost Hero, You Don’t Say, Any Empire, Swallow Me Whole, The Silence of Our Friends, and The Year of the Beasts. 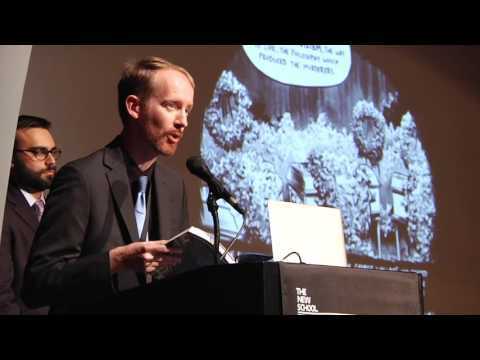 Nate Powell, called by Booklist magazine “the most prodigiously talented graphic novelist of his generation,” was born in Little Rock, Arkansas. In addition to the March series, his work includes Rick Riordan’s The Lost Hero, You Don’t Say, Any Empire, Swallow Me Whole, The Silence of Our Friends, and The Year of the Beasts. Nate’s work has received copious honors, including the Eisner Award for Best Graphic Novel, a Los Angeles Times Book Prize nomination, and four “Great Graphic Novels for Teens” from the American Library Association. 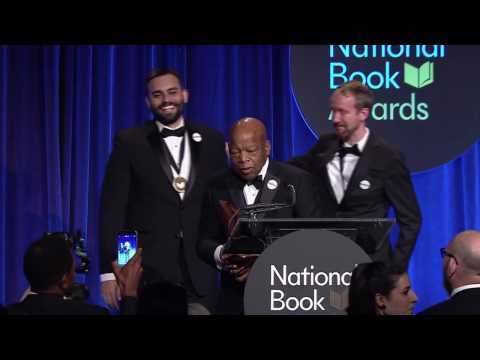 His animated illustrations in Southern Poverty Law Center’s documentary Selma: The Bridge to the Ballot have reached one million students in over 50,000 schools across the nation, and he is currently preparing a new graphic novel, Cover.